Minimum quantity for "Glow Bracelets yellow" is 2. Length of the glow stick 200 x 5 mm. Packed with 100 Yellow glow sticks per tube. Includes 100 pieces of conectors to make a bracelet or necklace. Glo time between 6 and 8 hours, this depends on the temperature and environment. CE and ROHS reports available. 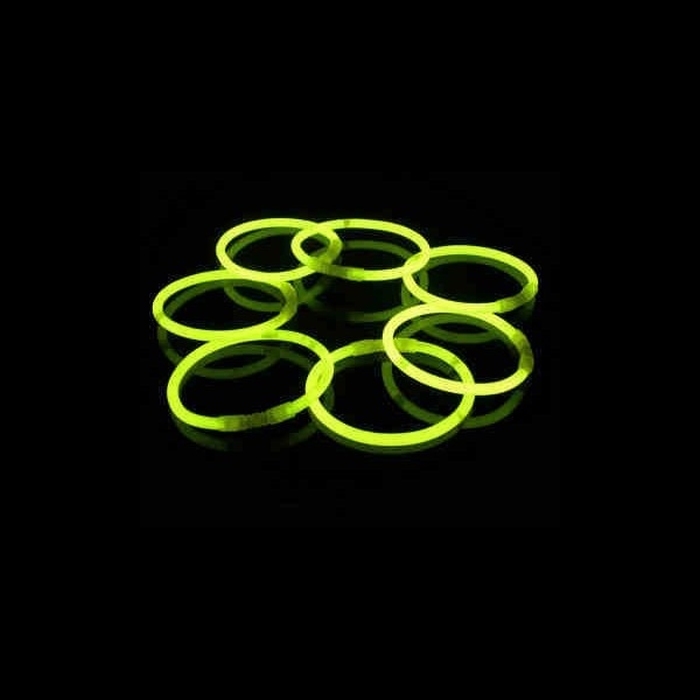 The Yellow glow sticks are widely used for glow runs, weddings, treasure hunts, children's parties, events, Halloween parties, full moon parties and LED runs to increase the atmosphere. At least 2 tubes and a maximum of 40 tubes per box. Fast delivery is possible within 3 - 5 days throughout Europe. Wholesale of quality Glow sticks in the Yellow color. Glowsticks.shop is your trusted address for glow sticks and party items. We sell to wholesalers, event organizers, and smaller numbers to private individuals.